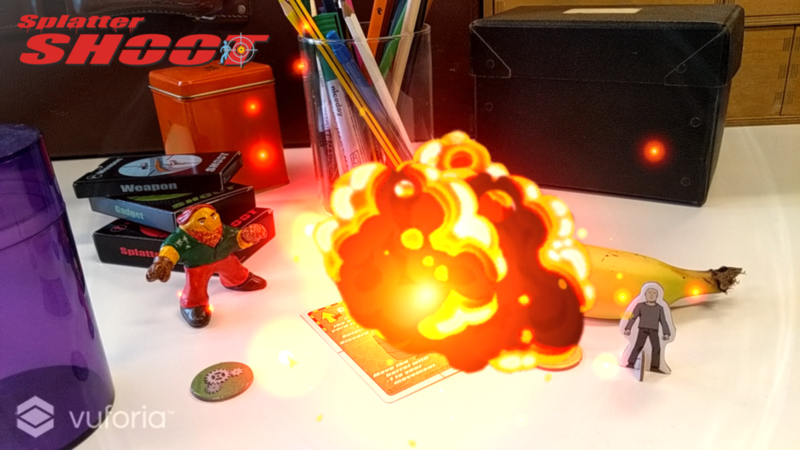 Impress your friends with cool special AR effects while playing Splatter SHOOT. 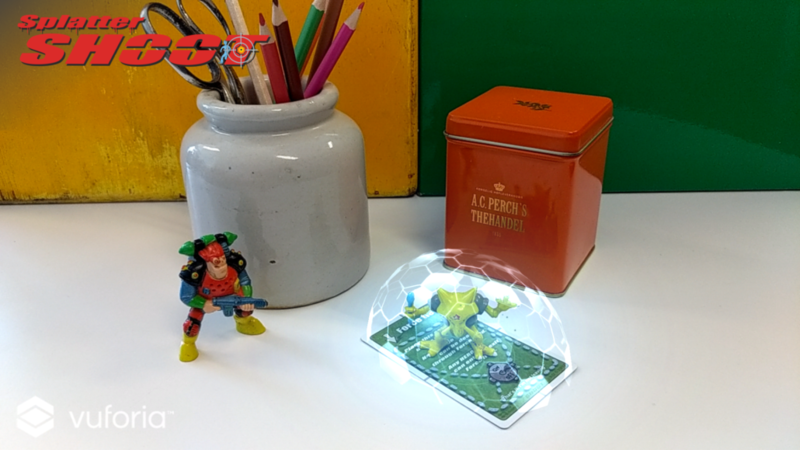 Take a snapshot of your exploding coffee table. 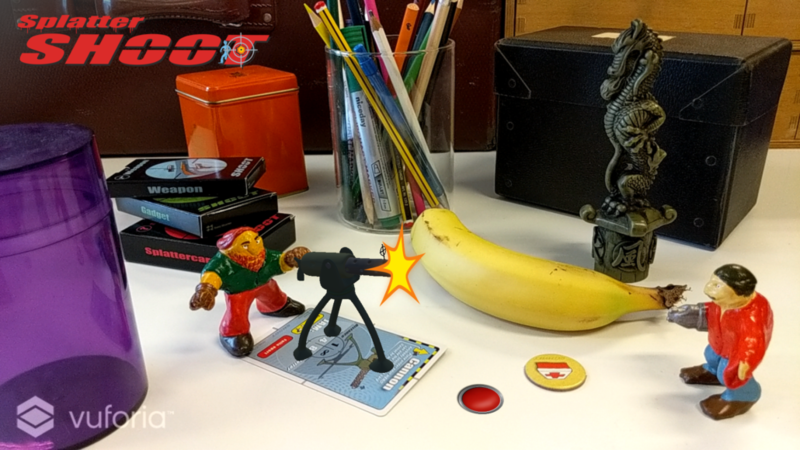 10 gadgets and 1 weapon are augmented, adding a new dimension to the splatter SHOOT experience. Press the red button on your screen to make Oil barrel explode. 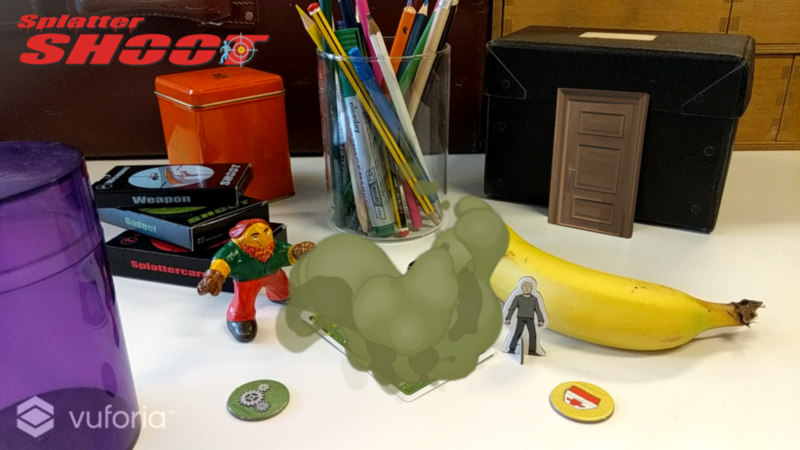 Get Splatter SHOOT AR for free here. Only for Splatter SHOOT second edition. First edition will be implemented in the first update. 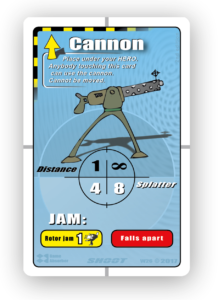 Each augmentation comes with a rule twist. Settle with your opponents before playing if you wanna comply to these twists or not. You can take cover behind virtual objects. 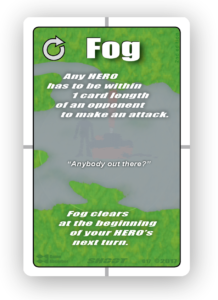 Fog The fog get more dens. Only 0 Distance/close combat attack. 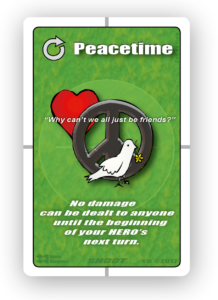 Ask the Splattercards for one more round of peace. Draw 6 Splattercards insted of 5 if they explode. 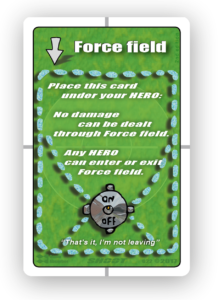 No mechanical weapons can be used inside the Force field. 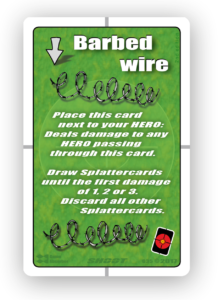 Draw splattercards until the first two damages of 1, 2 or 3. Secret door Not so secret anymore. Lazarette The Lazarette got expaned. Anyone inside 1 cardlegth radius from the center of the card can heal. Oil Barrel Extra flamable substance. 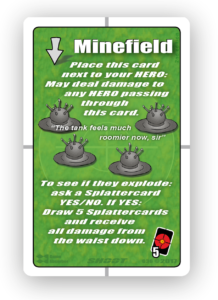 To hit: Draw a splattercard. 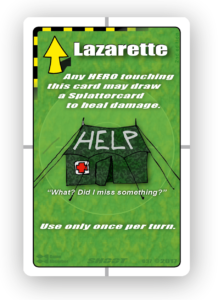 Only ‘Action damage’ hits the Oil barrel if you are moving in your turn. 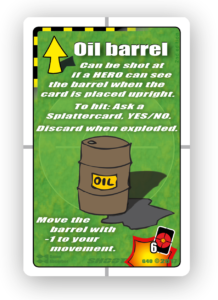 You hit the Oil barrel with ‘Full damage’ if you stand still! If a Jam: Your weapon Jams or you miss. See Jam on your weapon. If a Miss: You miss. Gas Surf the gas. 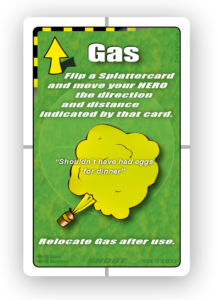 Flipp a Splattercard and move your HERO and the Gas, in any direction, the distance indicated on that card. 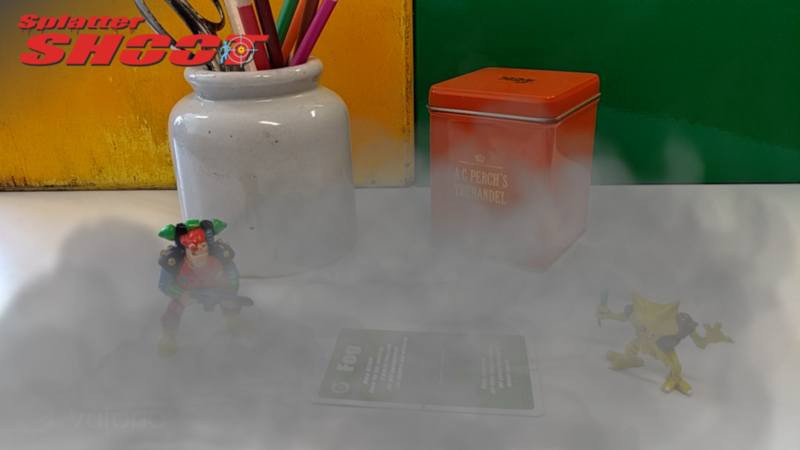 If the Gas is moved into contact with another HERO: Repeat the card’s effect. 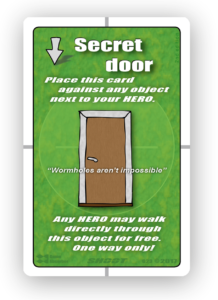 Give the Trap to your nearest opponent when you are free. 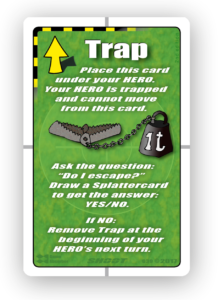 Now he/she is trapped and have to ask the Splattercards ‘Do I escape’? If NO: See the card. Cannon Not so stationary anymore. Can be moved by all playes with -1 to movement. Vladislav Donkov, Michael David Larsen, Kasper Bolding. JEAN MORENO – Gas, Mine field- & Oil barrel explosions. KOBRA GAME STUDIOS – Barbed wire. 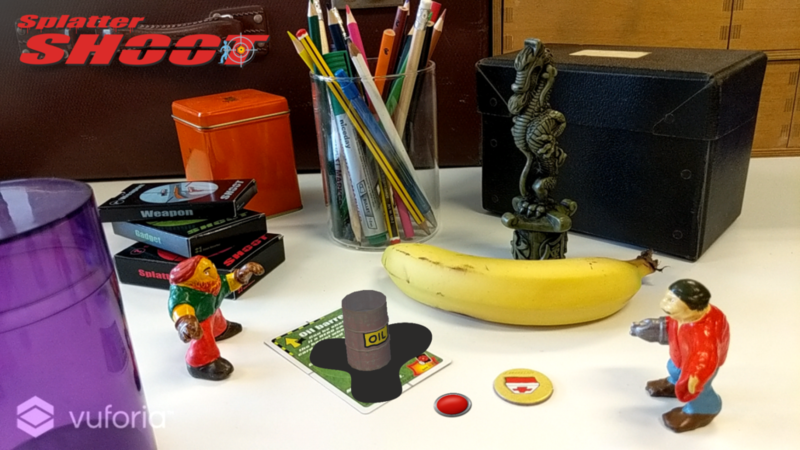 Game Absorber built the Splatter SHOOT AR app as a Commercial app. This SERVICE is provided by Game Absorber and is intended for use as is.